Our catering team can accommodate a wide range of event sizes and styles! Here’s a quick overview of all the options here at Marty B’s. Perfect for casual get-togethers such as birthdays and bachelor/bachelorette parties, our cabanas offer a designated server and our patio menu, in a fun and colorful atmosphere of the Marty B’s backyard. Additional seating may be reserved with an accompanying picnic table. Seating for up to: 10 (per one cabana). 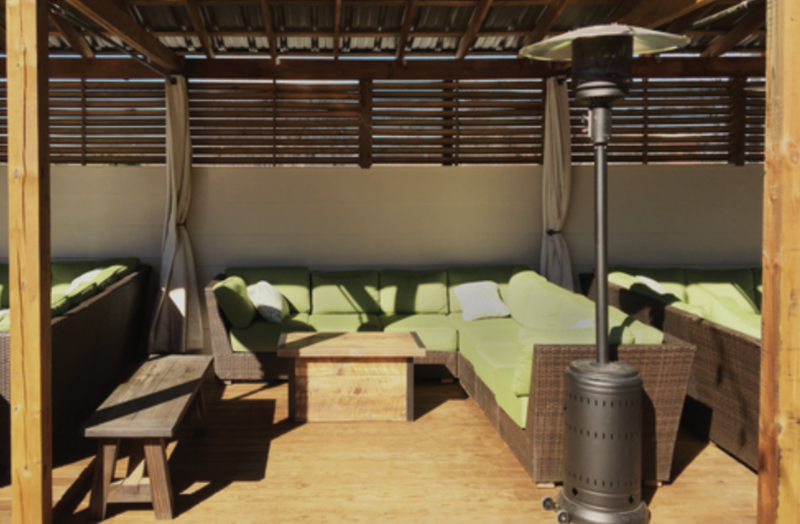 If you’re looking for a bit more privacy for smaller to medium-sized gatherings, Rooftop 1 might be right for you! Offering a dedicated service team with event coordination and amazing views, our smaller rooftop deck space can serve foods from our Rooftop Menu or your own custom menu. Seating for up to: 50 with buffet (all 10 picnic tables). For medium to large events, Rooftop 2 offers a dedicated team, event coordination, amazing views, and custom menus and a relaxed lounge area for an amazing time at Marty B’s! Make your event spectacular with this generous space. Our Rooftop 1 and 2 can be combined to accommodate up to 178 guests! Inquire for minimum spend when reserving the entire rooftop. We’re taking our awesome food, service, and experiences on the road! Got an event you’d like to invite our catering truck to? Let’s talk! Smaller event more your style? We can accommodate a wider range of guests with our pick-up catering service. You’ll pick up all the goodies from us on the day of your event, we’ll provide high quality single-use tableware.